When the fourth generation Core processors were released many people complained about the poor overclocking performance. Of course overclocking is influenced by several factors including quality of the processor silicon, motherboard and cooling method. Cooling is a big factor and is why large aircoolers tend to work better than the OEM heatsink and also why most extreme overclocking is done with LN2 instead of phase or chilled water. You see phase coolers only operate at a single temperature while with LN2 you can control temps and compensate for the lack of thermal transfer between the processor and the integrated heat spreader. Since the launch of Ivy Bridge the interface between these two is no longer a metallic bond but rather uses an inefficient TIM that is no better than what you would find on the OEM heatsink. 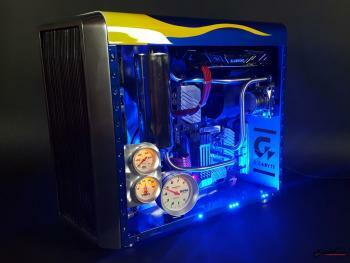 via Haswell Devils Canyon Performance | Hardware Asylum.